Amethystory is the latest skincare brand to hit town, and they have a range that consists of a few types of products, including those that are really trendy at the moment. This includes the Mineral Bubble Facial Wash, the Mineral Aqua Gel, and the Mineral Whitening Enhancer. I can see the line being popular already. The products claim to be infused with amethyst, that semi-precious gemstone, hence the brand name, Amethystory. The products claim to be "mineral" - by which they refer to the amethyst-based ingredient inside. The liberal use of the word "mineral" doesn't imply that the products are natural, organic, or even that there aren't any preservatives. To me, the ingredients list looks much like any other Asian drugstore generic brand product - but that doesn't mean that the products aren't any good. Just don't be fooled by the self-declared mineral tagline into believing the products are something that they're not - they're not natural, organic, and they certainly have preservatives and so on. 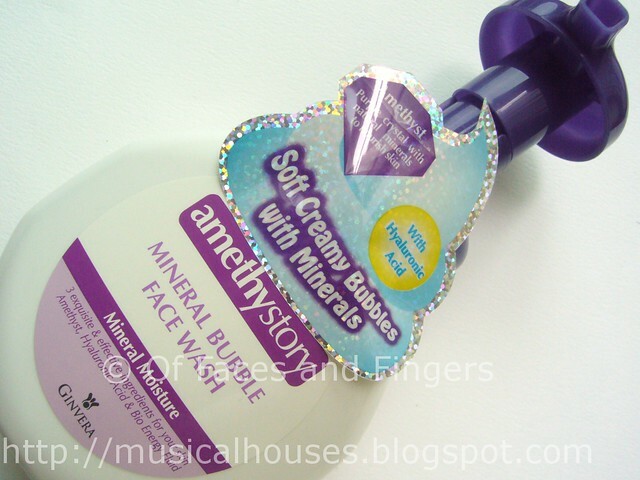 Let's start with the Amethystory Mineral Bubble Facial Wash. This wash is one of those foam-out-of-the-pump type of facial wash, and it claims to give your skin a smoother clean, without leaving it feeling tight or dry. It actually really reminds me of the Biore Marshmallow Whip Facial Wash I've previously tried. The packaging looks like it, and even the copywriting on the ads sound like it - foam claims to cushion your skin, clean deeper, moisturize your skin, and so on. To be honest, when I first took a look at this product, my reaction was, "Meh." After all, who likes an imitater? Even the facial wash itself also looks quite like the Biore version. Nice, soft, fluffy, white foam. If you liked the Biore Marshmallow Whip wash, you'll probably like this one too. It also has a pleasant smell. When you wash your face with the foam, it quickly lathers into a bubbly watery solution. This is also pretty much like the Biore version. However, between the two, I actually preferred the Amethystory one, because it didn't leave my skin feeling as dry after use. 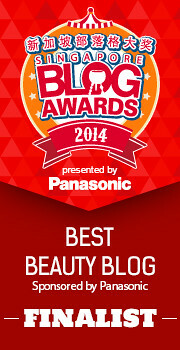 My skin was still slightly tight, but not as tight-feeling as the Biore Marshmallow wash. Chances are, if your skin is very oily, the Biore Marshmallow Whip may work better, and if your skin is more on the dry side, you may like the Amethystory one better. Perhaps one of these days I should do a comparison between the two, just to be sure. Both of them are so similar to me, I'm really splitting hairs for the sake of comparison here. 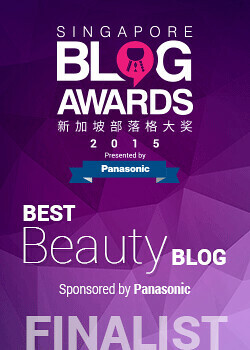 But whether the Biore or Amethystory version, both are bound to be a hit. 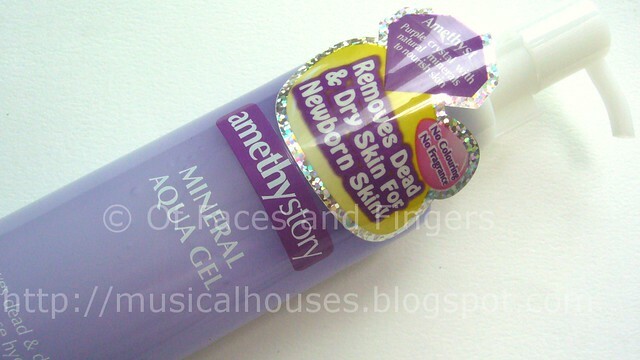 The Amethystory Mineral Aqua Gel is also another product I predict will experience lots of success. I also personally really like this product. The Mineral Aqua Gel is a facial exfoliant, but in gel form. Basically, you pump out the gel into your face, massage it on the surface of your skin, and you will get these little balls of dead skin forming as you rub the gel in. If you're familiar with another popular Asian product, the Cure Natural Aqua Gel (also another product which isn't actually natural), this is pretty much its relative. The gel is also similar to the Cure Aqua Gel, only that this one is a little more milky and cloudy, instead of being totally clear. 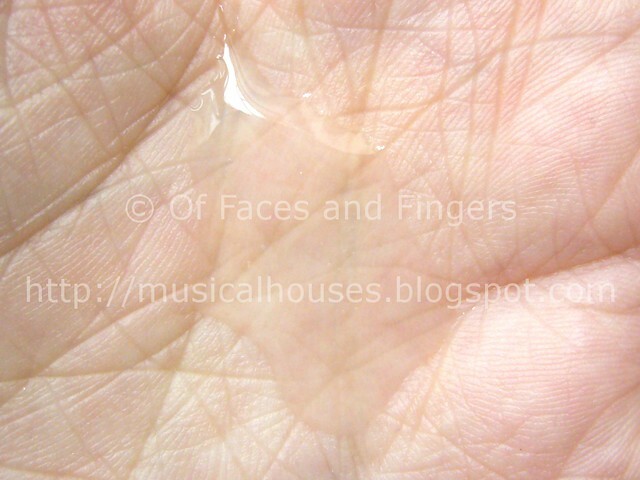 The gel also has a more watery texture that makes it more like a water and less like a gel. Okay, now here's the really gross part. You might want to skip over this photo if you're easily disgusted. When you rub the Mineral Aqua Gel onto your face, you immediately get tiny little white balls of skin (I think it's dead skin anyway, not too sure what it is) peeling off your face. It feels and looks disgusting, to be sure, but it makes me feel like the product is working somehow...like my skin is really being exfoliated. And the really gross photo below shows what the little balls look like. I'm still not sure if all that is really dead skin, or whether there's some combination of ingredients in the Amethystory Mineral Aqua Gel that rolls into a ball or peels off in sheets when rubbed...my guess is probably a little of both. After all most exfoliants, both physical and chemical, don't actually result in little balls of white gunk rolling off your face, right? But still, it's the cosmetic effect for me...even though I know it's not all dead skin, it's strangely satisfying to think that that is all the gunk coming out. Okay, gross bit over! Let's move on to nicer stuff. 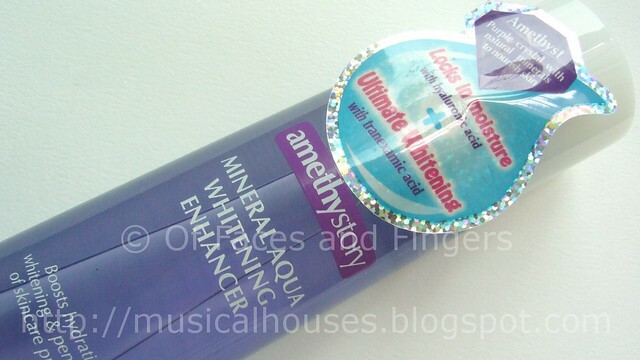 The Amethystory Mineral Whitening Enhancer is also another product I like. This is an essence-type of product, on top of which you can further layer moisturizers and other skincare steps you may have. However, I quite like using this product on its own. I think it works well as a light moisturizer by itself. You pour out a little bit of the liquid, and it looks and feels like water. But when you apply it on your skin, it feels a little sticky, although the stickiness is gone after a few minutes. The look and feel of this product actually reminds me a little bit of the Hada Labo's trademark Hyaluronic Acid moisturizer, although this is a little bit different in nature and purpose. Still, I quite liked this product, and I did feel like it helped to moisturize my skin somewhat. I'd say Amethystory's range is a safe bet on products that are already well-known and well-liked by the general populace - after all, their lineup features a Biore lookalike, a Cure lookalike, and a Hada Labo lookalike. The plus is that these products are pretty solid and function well, and if you're looking for generally good products at decent prices, you can turn to the Amethystory line. 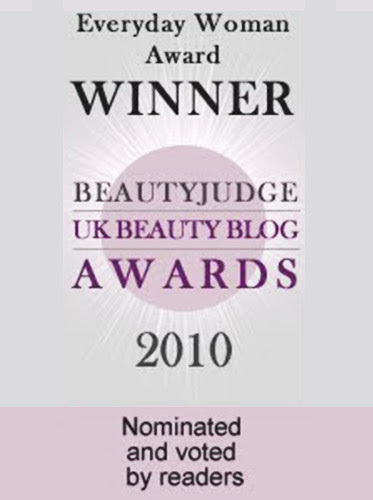 My personal picks out of the three I've tried are the Mineral Aqua Gel and the Mineral Whitening Enhancer. Also, the Amethystory Facebook allows you to redeem a small sample size of the Mineral Aqua Gel right now, so do check it out if you're interested. Great post, too bad we can't get this brand here in Slovenia..
would def love to try this product! 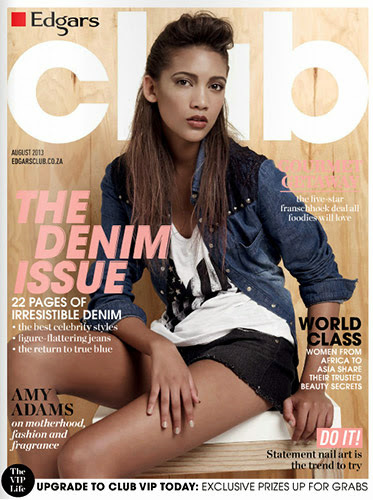 :) wish I could get my hands on em! 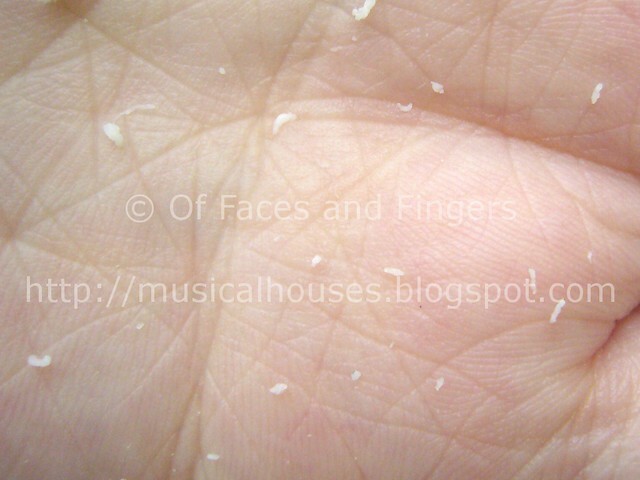 I tried this exfoliator tester at watsons few days back on the back of my hand. after using it 3 or 4 times consecutively, considerable amount of 'beads' never fail to appear everytime, even though my hand is already smooth. makes me doubt that it's exfoliating my skin. @Anonymous: A lot of that is marketing talk. Typically it's a mix of product, as well as skin cells being exfoliated, that make up the small white balls you see. It's usually not ALL skin cells (if not, very vigorous everyday use will leave you with severely thinned skin). Hope this helps! First Ever Reader Feedback Survey!